At first, my body is disoriented. But before I let myself drift off to sleep my brain nudges me. It’s Thursday. Temple shift. I roll out of bed, slump into a prayer, and just as slumpily, slide into a dress, tights (fleece-lined for warmth), and black ankle boots. I’m already planning my nap for the day. I should have left five minutes ago. Zipping my coat, I venture into the wintry morning darkness of Provo, Utah. The crosswalk light beckons me as I approach the end of the block, but something is missing. I sprint back to my apartment and grab a bulky black briefcase serving as my temple bag. Can’t forget my temple clothes. (Technically I could borrow what I needed from the temple for less than two dollars, but you know, college budget). I start my journey again, this time speedwalking. Every week for too many years, John Rowe Moyle would walk 22 miles from Alpine to Salt Lake City to work as a stonemason on the Salt Lake City Temple, only to come home to his farm every weekend. 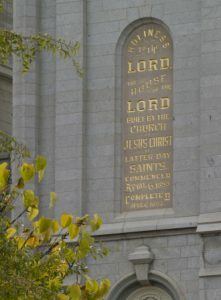 He inscribed “Holiness to the Lord” on the east side of the temple. Moyle was kicked by one of his cows, necessitating a leg amputation. He then made himself a wooden peg and returned to work on the temple. 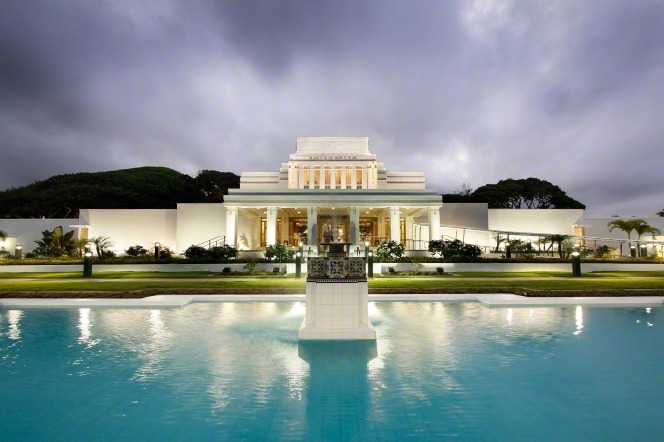 I hand him my Laie Temple recommend holder (the temple I would get married in if I were to Mormon elope). Airports should be more like temples: show identification, but you get to keep your shoes and coat on. I walk around the desk and into the hallway. Most people walk straight down the hall then turn left at the round couch, but the layout does not intimidate me—I know this temple. I take an immediate left, then right, down the hallway to get to the women’s dressing room. Is it faster? Not sure. Some mornings I wear a plum lipstick to create the facade that I am awake enough to care about how I look. When changing into my temple clothes, I try new techniques to avoid getting lipstick on the white neckline—nope, it happened again. Maybe I should apply the plum after I get into my temple clothes. But it’s too early to remember. I leave our short training meeting, where I picked up my schedule for the morning. We rotate positions every 30 minutes. 6:30: Greet 2. My favorite. It is a chair between the two dressing rooms, the chair from which I direct many a wandering patron to their respective destinations. Saturdays are a zoo, but Thursdays aren’t usually busy, especially this early. Instead of managing traffic, I admire the painting on the wall across from me. 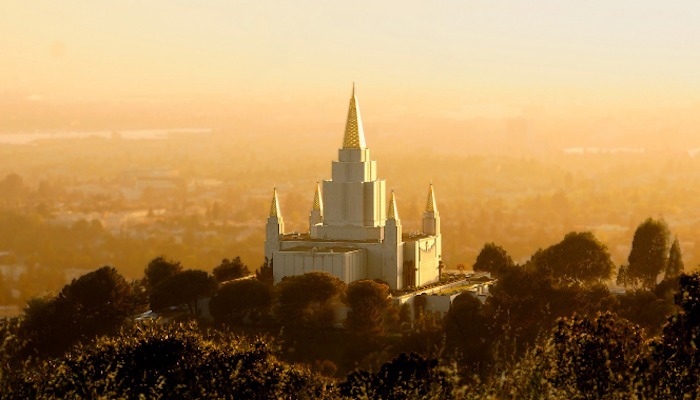 When I first started working at the temple, I was paired with a more experienced worker. She was an art professor. I could tell that she treated her temple work like an art, too. She showed me this painting. There is a forest in the distance, with a great beam of light pouring into it. “The Second Coming, right?” I whispered. It was actually the First Vision, when God and Jesus Christ appeared to Joseph Smith. Grove of trees, pillar of light. Makes sense. The temple is filled with beautiful artwork. 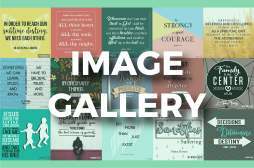 Ordinance workers should avoid reading scriptures so they can always be ready to help patrons, but examining artwork is always an option when the halls are empty. My favorite is Christ and Mary at the Tomb by Joseph Brickey, displayed where women return the clothes borrowed from the temple. And I’ve been looking at art too long. I reverently speedwalk to initiatories. 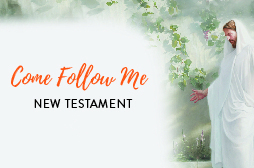 The initiatory is a preliminary ordinance you receive, which includes, as the Church describes, “special blessings regarding your divine heritage and potential.” And the best part is that I have the sacred opportunity to administer these blessings to fellow sisters through priesthood power. 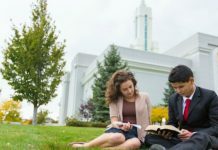 The first few weeks of being a temple worker, they give you time to practice reciting the words before performing the ordinances.All ordinances have specific wording, and by this point, I’ve memorized most of the words, but every minute or so I glance at the cheat sheet hanging on the wall, just to make sure. Knowing the ordinances is probably the best part of being an ordinance worker. As a patron, I couldn’t keep up with everything. Now, I know every word. I may not always live close to a temple, but the words of the ordinance are close to my heart. 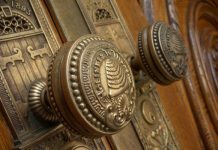 As an ordinance worker in the Celestial Room, I have one job: open the door for patrons when they leave. 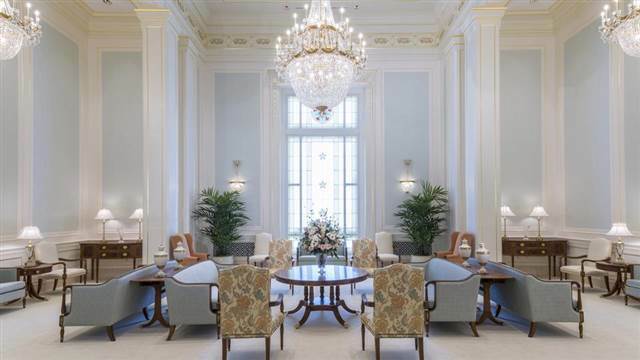 I’ve heard it said that everywhere in the temple is sacred, but there is something special about this room. Perhaps because in this room I witness the human family, the center of the gospel of Jesus Christ, the purpose of His Atonement. I watch husband and wife, quietly sitting, holding hands. A few friends gathered on a couch, smiling and whispering. Or lone patrons, reading their scriptures, communing with the Savior. They say the temple is full of symbolism, and I often wonder what symbolism hides in the architecture and design. I scan the crown molding, the chandelier, the windows. Why these flowers? Why these colors? I wish I could stay here for the rest of my shift. It’s later in the morning, a slightly more reasonable time to come to the temple. My last rotation is in the women’s dressing room, where I direct incoming patrons to empty lockers to change into their white attire. The Celestial Room is where I witness family—this is where I witness sisterhood. Women file in, two, three, even five at a time. The temple is a melting pot: faithful women of every age and ethnicity come to serve in the Lord’s House. This House, this gospel, connects us. There is no unity like it. I push past the heavy temple door, though not as heavy as it was earlier. I emerge from the rounded staircase. The flowers are alive with color, the fountain gushing with water. The world is brighter, for the Son has risen. 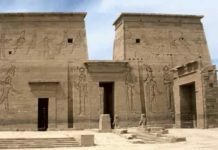 What Can We Learn From the Ancient Temples of Egypt? 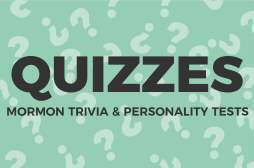 Anessa studies journalism at Brigham Young University. She speaks four languages: Arabic, Japanese, Spanish, and English. Anessa enjoys traveling, cooking, and daydreaming. 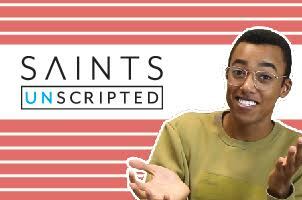 She hopes to one day write for Oprah's O Magazine or become her successor. Whichever comes first.